About - What's Goin' On In The Kitchen? Hello and welcome to What’s Goin’ On In The Kitchen? As you have found my about me page, I had better just tell you a little bit about who I am and why I’m here. My name is Andy and I am a self-confessed food lover. I love eating out, eating in and any awesome and cool kitchen cooking gadgets. My aim on this site is to help you in the kitchen by bringing you the most awesome kitchen gadgets, products, accessories and more that I can find from around the internet. Many of the products that I link to on this site are affiliate linked. What this means is that if you do choose to click on any of the awesome kitchen gadgets I have found for you, I may receive a small commission for this sale. This won’t add anything on to the price. In fact I do my best here to find all of the awesome products I showcase for the cheapest price possible so that you can take advantage of the work I have done in sourcing them all. 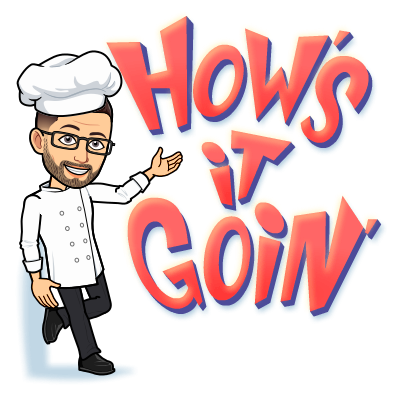 I will regularly update my blog posts with product reviews and comparisons, as well as useful kitchen hacks, recipes and other cool stuff you can use in your kitchen. If you would like to get in touch with me you can reach me by email by visiting my contact page, or reach out to me on any of my social media platforms. You will find links to these at the bottom of our site. Thanks for reading about me. Hope you have something awesome going on in your kitchen sometime soon.